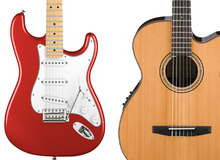 Introduction - Fender Road Worn Series: Well-worn or Worn-out? Line 6 POD X3 Pro: The Test - In POD We Trust? After releasing their POD X3 and X3 Live in 2008, worthy descendants in their own right of the Pod XT, Line 6 felt it necessary to update the POD Pro. So, it's no surprise they’ve come up with a POD in rack format, offering a plethora of inputs and outputs, called the POD X3 Pro. Squier Classic Vibe Series: The Test - Do you feel the vibe? Line 6's M13: The Test - PODal board?